Now its time to think creatively. 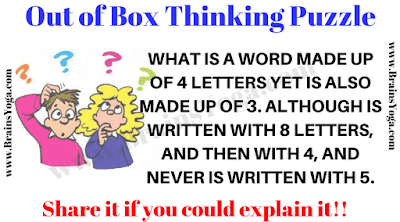 In this out of box creative thinking puzzle, one statement is given which will make you think deeply and laterally. However if you use Right side of your brain which is creative thinking then you will be able to understand this puzzle. Do post your comment in case you are able to understand this puzzle? 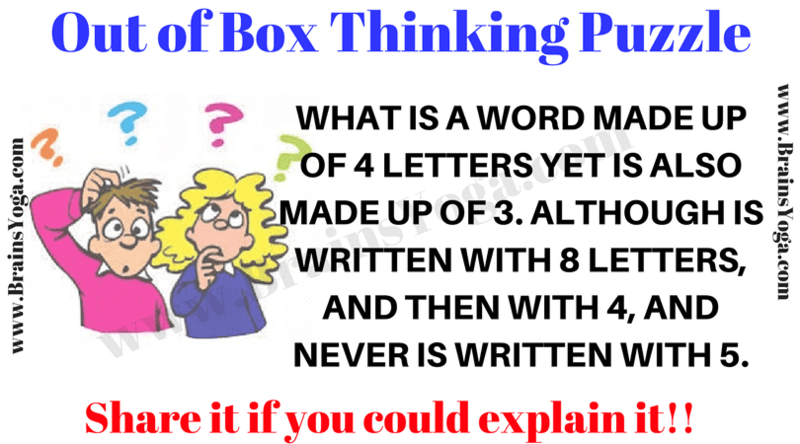 Can you explain this creative thinking puzzle? Answer of this creative thinking puzzle, can be viewed by clicking on button. Please do give your best try before looking at the answer. The Answer for this creative thinking puzzle can be obtained by reading the given paragraph as statement and not like a question.